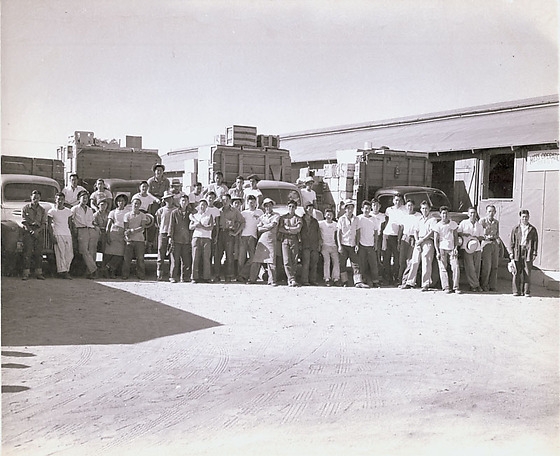 1 b&w; group portrait taken at an unspecified California concentration camp. 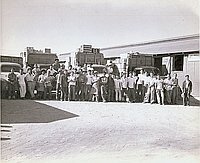 Men posing in front of 4 trucks. Beds of trucks are stacked with crates that are visible above cabs of trucks. Barrack off to the R. Sign on wall of barrack reads: Mess operation[s] office.